Except for the very low end model, all of the iMacs feature a “Retina Display”. Once again my annual list of Apple products I am not getting this Christmas. This year we go from #1 to #10. 1. Apple iMac with 5K Retina display. Yes, this is the top of the line iMac and it comes with a 27 inch display that is second to none. More than likely my next Mac OS computer will be an iMac since they are the still have the built in gigabit networking, 4 USB 3 ports, 2 thunderbolt ports and an built in SD card reader. All of these features are backward compatible to the my MacBook Pros that I use on a daily basis. The iMacs can be custom built to accept up to 16 to 32 GB of RAM and can be configured to use a 1TB flash storage drive. The only downside for me is the fact that the iMacs no longer have built in DVD-R drives. However external options are available. Prices for the 27 inch 5K Retina iMac start at $1799 and can quickly soar depending on how you configure it. 2. Apple iMac with 4K Retina display. This is a good compromise Mac on the high end as they feature a 21 inch display screen and most of the ports and options that are also available to the higher end 27 inch model. The processor is not as fast as the 27 inch model and the RAM and storage options are somewhat less. Nevertheless you can still get a flash drive, 16 GB of ram and the same USB, thunderbolt and SD ports as the 27 inch model. 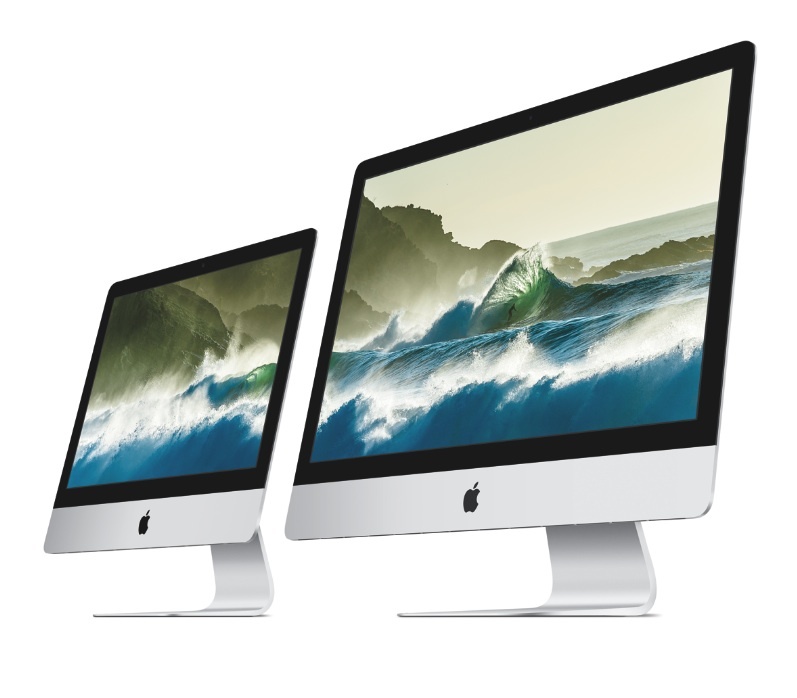 Price for the 21 inch Retina display iMac starts at $1499. I would avoid the lower priced, non-Retina display iMacs that sell for a base price of either $1099 or $1299. 3. OSX “El Capitan”: The latest version of Apple’s OSX system software for Macintosh is a huge free download and is backward compatible to many Intel flavored Macs. It is a recommended upgrade that you should get, especially when early bugs are worked out an dot 2 and higher version upgrades become available over the next 12 months. Download one copy, learn how to make a boot installer on a USB stick. After that is done my recommendation is to always 1. back-up your Mac and 2. Erase your hard drive and 3. Install a “clean copy” of your OSX operating system onto your Mac. You will never regret it because the clean install is like getting a brand new Mac in your present hardware. Be sure to check the technical specifications to make sure your Intel Mac is eligible for this update. Apple’s MacBook Pro comes in 13″ and 15″ models. 4. Apple MacBook Pro series: I still recommend the MacBook Pro models for anyone who does high end work such as video and photo editing on the go. All of the MacBook Pro models now feature either a 13″ or 15″ retina display. The 13″ model comes with 8 GB of RAM which is upgradable at time of purchase to 16 GB. The larger model comes with 16GB straight out of the box. All have flash memory storage and include 2 thunderbolt, 2 USB 3 ports, HDMI output and an SD XC card slot. Unfortunately no wired ethernet port unless you attach an adaptor to one of the thunderbolt ports. 5. Apple MacBook Air series: It is kind of hard for me to recommend the MacBook Air. It is one of Apple’s most affordable laptops. It is a nice, sleek high quality laptop that is great for someone who can use it as a primary platform if their computing needs are not too demanding. Otherwise it is a great secondary computer for someone who already owns a higher end Mac. Like the MacBook Pro all of the MacBook air laptops come with standard flash memory storage, 2 thunderbolt slots, and 2 USB 3 ports. None have a retina display but that is not a deal breaker. The standard Mac display is nice enough. The downside is that there are no wired ethernet ports unless you dongle up an adapter to thunderbolt. Still that is also not a deal breaker as I think most MacBook Airs are used in a wireless environment. The one thing that would force me to choose the 13 inch model over the more affordable 11 inch model is that the 13″ Air is the only one in the series that has an SD XC card slot. This slot is important for photographers who shoot a lot of pictures and need somewhere to offload them. Surely an SD card reader can be bought for the lower end Mac, but that defeats having a portable computer without having to carry around external stuff. The funny thing is that for a lot less money, I can get a Google Chromebook of many different sizes including an 11 inch model that features a built in SD XC card slot for a lot less money. Both the MacBook Air and Chromebook are somewhat similar. I would consider the MacBook Air as a high end Chromebook. If I got a MacBook Air, I’d use it like a Chromebook where only my apps would on the local drive and all my documents including music, video and photos be stored in the cloud. When I talk about the cloud, I mean the Google Cloud… Google Docs, Gmail and Google Photos. All three have generous storage options at a free price vs. Apple iCloud offering which I cannot recommend since it is costly and has a somewhat clunky interface. Other alternatives to the MacBook Air include Wintel laptops, Android tablets and Apple’s own iPad. Other Macintosh Models: The new MacBook, Mac Mini and the Mac Pro are models that are not on my wish list for a number of reasons. The new MacBook is too new and is the only Mac that has a USB C port and no other ports. The Mac Mini is nice but for some reason I have not been a Mac Mini type of person. Lastly while I liked the old tower versions of the Mac Pro, the new cylindrical design of that expensive, high end computer is a turn off since all the other components have to be plugged into the thing to get any kind of expanded use from it. Surely it is a high end computer, but frankly I don’t need it. Plus it is expensive. 6. Apple iPod Touch: One of the most under-appreciated devices coming out of Apple is the iPod Touch. To me the 6th generation iPod Touch is my most wanted mobile device from Apple. The new version introduced in July is a huge update for the device. It now comes with Apple’s own A8 processor chip, 4 inch Retina display screen, storage capacities of 16, 32, 64 and 128GB, 8 megapixel iSight camera with 1080p HD video capability, 1.2MB Facetime camera for video calls and selfies, 802.11 a/b/c/n/ac wifi, bluetooth 4.1 and Apple’s iOS9 which includes Siri, Airplay, AirDrop and a number of other technologies that make the iPod Touch practical and fun to use. Granted you are anchored to wifi to get the most use out of it, but on the other hand, you pay for the device once and never have to pay monthly telecom access fees because this is not an iPhone. I have been an iPod Touch owner (4th generation) since 2010 and the device is extremely useful in helping me keep notes, manage my contact lists, calendar, and is great for streaming music, news, podcasts and video whenever I am on the go. I use it to also send and receive emails and SMS text files. With the Google Voice app the iPod Touch can be used to send SMS text messages to your cell phone toting friends as well as a dialer for unlimited long distance phone calls throughout the U.S. The upgraded iPod Touch has a better still and video camera which makes it a great take anywhere photographic and video recording tool. It also does audio recording and plays most if not all of the current iOS games that can be run on the iPhone. Again the iPod Touch is like an iPhone without the annoying phone part and the expensive monthly bill. What is not to like about the Touch? 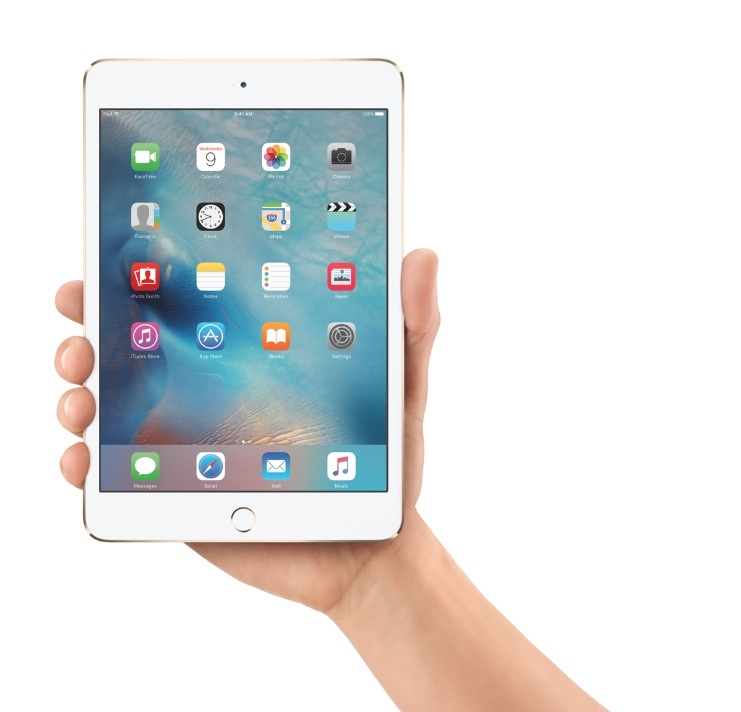 Is the Apple iPad the ultimate tablet? 7. Apple iPad: If your computing needs are not very demanding or if you need a secondary device that is not another MacBook or PC laptop, then perhaps the iPad is for you. I have never owned an iPad because instead of that I opted to buy a Chromebook. The iPad can do everything the iPhone (except phone calls) and iPod Touch can do because they all run on Apple’s iOS9. That said, for me to get an iPad is kind of like duplicating the capabilities of the iPod Touch, except that the iPads are bigger and more expensive depending on configuration. The most compelling reason for me to get an iPad is to use it as an eBook reader since it is bigger than the iPod Touch and more convenient as a reader over my Chromebook or any of my Macs. However if a reader is all that I really want, it may make more sense to buy a cheaper device like a Kindle from Amazon. 8. Apple TV: This one a device among a sea of plenty aimed squarely at “cord cutters”. It turns your TV to a media center and allows you to stream content from various services such as NetFlix, YouTube and Apple’s own iTunes which includes both video (movies, TV) and audio content (music, podcasts). The new version costs more than the old version. There are other alternatives out there that are cheaper: Roku, Chromecast, Amazon Fire TV and more. Be careful when deciding on what streaming TV device to get. 9. Apple iPhone: The single most popular phone on the planet is the Apple iPhone. The device has certainly made its mark on the industry. Since its introduction as one of the first all touch smartphones, the iPhone has spawned a huge worldwide industry that range from service providers to app developers to wanna-be smartphone manufacturers. Thanks to Google’s Android OS which is a competitor to Apple’s iOS that powers all iPhones, the smartphone market is saturated with these devices that people can hardly find a basic cell phone that does only phone calls and text. The phone carriers prefer to push the more expensive smart phones and their related calling/data plans from which they make more money. I am not a fan of cell phones and until recently never owned one. I opted for another type of phone based mainly on the plan that was offered. The best way to buy a phone is to look at how expensive the monthly bill will be and then make your purchase accordingly. In my case the iPhone was not an option, and is still not. From what I hear about those with iPhones is that the calling / data plans cost at least $99 a month. Too expensive. The cost can be considerably lower if you stick to the basics – calling and text. 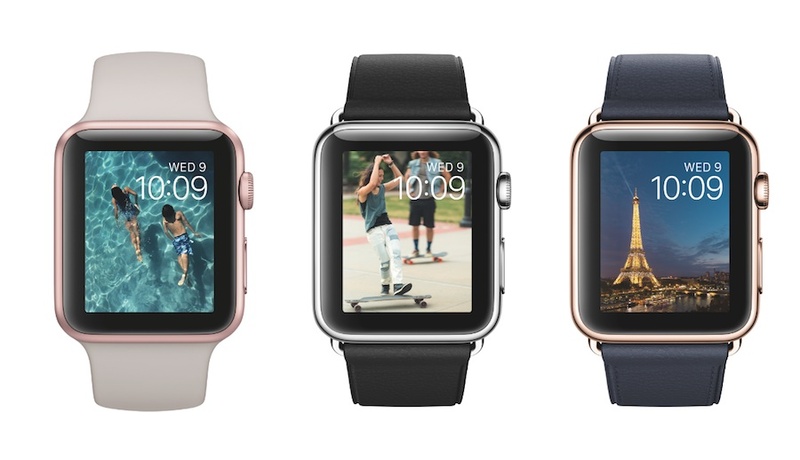 Is the Apple Watch really needed? 10. Apple Watch – Why anyone would want to buy an expensive watch tied into an iPhone or any other smart phone is beyond me. For the most part the watch is a redundant device that runs many of the same apps as those on the iPhone and iPad. Plus your watch has to be tied into the iPhone. Not a good idea to me. There have been reports that the time does not even show on the watch face as a default. Duh? Prices for the Apple Watch start at $349 and soar into unreasonable heights of $10,000 or more. I don’t think the Watch will hold its value in the long term because the technology will continue to change. If you want an expensive high end watch you’d be better off buying a traditional Rolex. If you need to just tell the time that is already on your cell phone. If you need a cheap wrist watch and not worry about it, you can get one for under $25 at your local WalMart. So, there you have it. My top 10 list of Apple devices I won’t get this Christmas. This entry was posted in Apple, Commentary, iMac, iPad, iPhone, iPod, MacBook Air, MacBook Pro, MacPro, Music, Technology, TV and tagged Apple, Apple TV, computers, El Capitan, iMac, iPad, iPhone, iPod, Mac, music, OSX, subscription, Watch. Bookmark the permalink.